ANNOUNCING OUR NEW CRYO T-SHOCK! The most innovative and versatile anti-aging device on the market to lose those pesky inches of fat, reduce cellulite, as well as tone and tighten the skin. It uses state-of-the-art thermography and cryotherapy (thermal shock) to reshape the body. 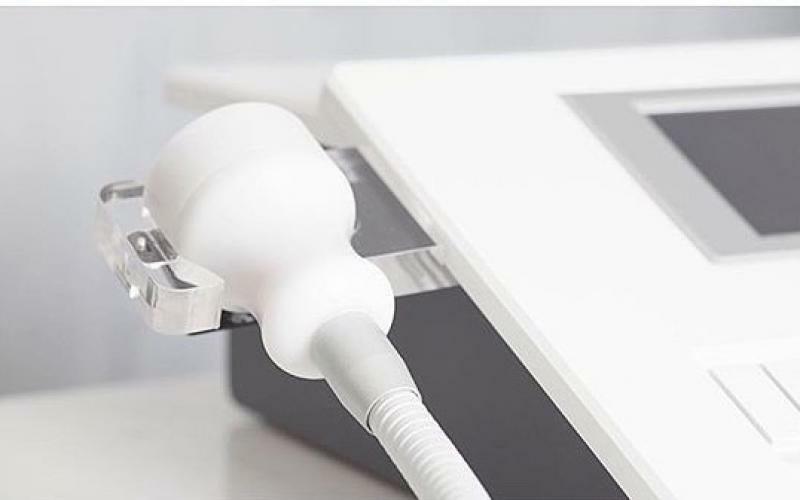 Cryo T-Shock is the most innovative and versatile anti-aging device on the market to eliminate localized fat, reduce cellulite, as well as tone and tighten the skin. It uses state-of-the-art thermography and cryotherapy (thermal shock) to reshape the body. Cryo T-Shock treatments destroy fat cells and increase skin collagen production during each session due to a thermal shock response caused by hot & cold temperatures. Each session takes about 60 min. 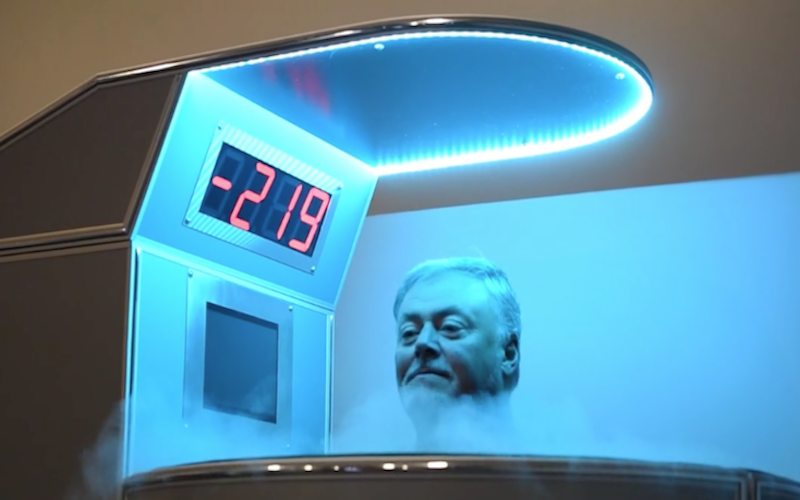 Cryotherapy is essentially the process of using cold temperatures for health benefits. This type of cold therapy was invented in the 1970s in Japan, it has gained widespread popularity with athletes and those with certain chronic illnesses as well as people who just want to feel good inside and out. We are excited to offer both Whole-Body Cryotherapy and Cool Facials to our spa. NovoThor’s Whole Body Wellness Light Bed is the world’s first and only whole-body Photobiomodulation Therapy (PBM Therapy) unit. 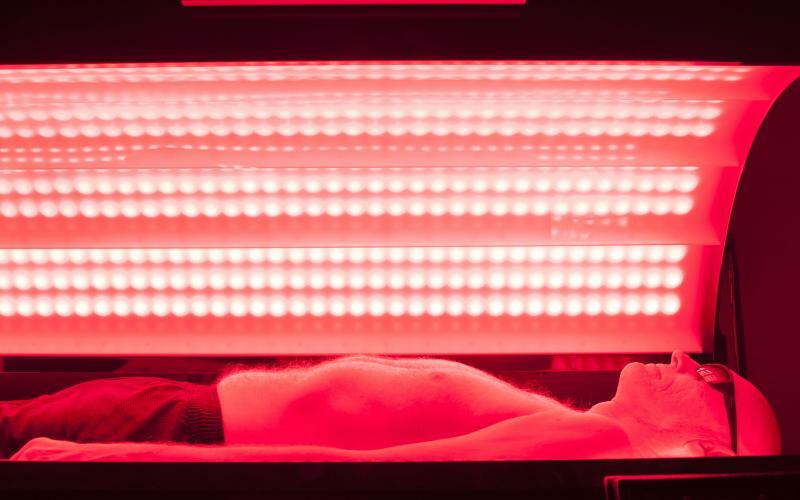 PBM Therapy is the application of red and near-infrared light to tissue where there is degeneration or injury, to improve, repair, and reduce inflammation and pain. We are the first in the Midwest to provide this new and exciting service. The Cocoon Infrared Sauna Pod provides the ultimate relaxation and wellness therapy by using a dual dry heat and infrared multisensory sauna system. 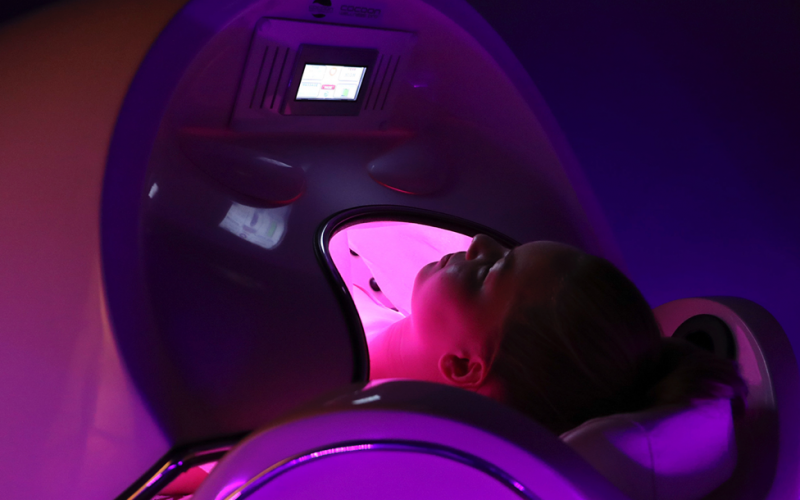 The Cocoon combines both dry heat and infrared heat with vibratory massage, aromatherapy, and salt air for the ultimate body transformation and relaxation experience. Get younger looking skin without the use of toxic chemicals or botox. Cool Facial treatments can be used to treat aging and various skin symptoms by increasing cell rejuvenation, improving skin tone, reducing signs of wrinkles, promoting skin tightening and boosting collagen levels. Local cryotherapy treatments help to target areas that need healing. 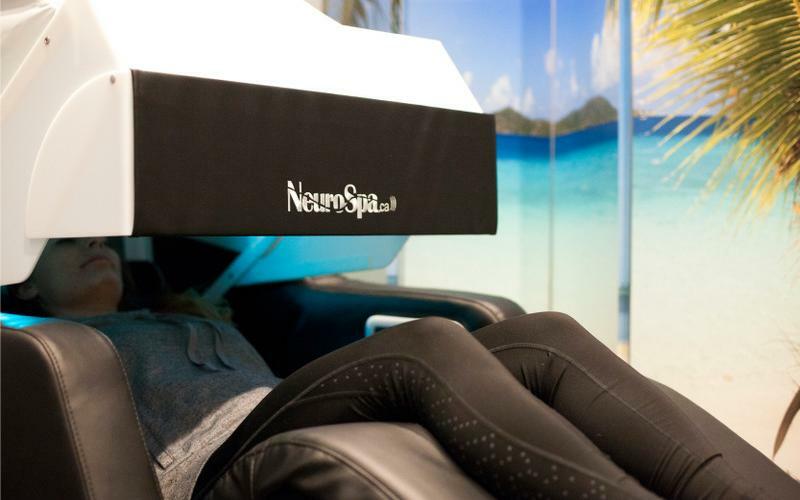 Our NeuroSpa Energizing Lounges are a one-of-a-kind experience allowing one to reach a state of complete mental and physical well-being. A must-try for anyone looking to reduce the stress of modern day life.